Please welcome Rich Larson to The Qwillery as part of the 2018 Debut Author Challenge Interviews. Annex was published on July 24th by Orbit. Rich: Glad to be here. Before I could actually read or write, I would sometimes get my older sisters to transcribe the stories I liked to tell them. The earliest one I can remember involved pyramids, hot air balloons, sword fights, gun fights, King Tut and Spider-Man. Rich: I write by the seat of my pants, which is fine for short stories but potentially disastrous for novels. Rich: I think the most challenging thing for me is actually sitting down and getting the words out. It's very easy to procrastinate without a boss or an office. I'm procrastinating right now, actually, by answering these interview questions. Rich: Lots of stuff. A few authors include Kenneth Oppel, Megan Whalen Turner, K.A. Applegate and William Nicholson. A few specific works include Til We Have Faces by C.S. Lewis and Feed by M.T. Anderson. TQ: Describe Annex with only 5 words. Rich: Kids fighting aliens -- darker Animorphs. TQ: Tell us something about Annex that is not found in the book description. Rich: It's actually pretty good. TQ: What inspired you to write Annex? What appeals to you about writing Science Fiction? Rich: The aesthetic of the ruined city and floating biomechanical pods was something that came to me while I was high around Christmas time several years ago. The character of Violet was from an old unfinished post-apocalyptic short story with parasitic zombies. Those two elements both went into a short story called "Mother Mother," which never saw publication and eventually spun out into Annex, which is more or less a love letter to the books I loved as a kid, including Animorphs, The Thief Lord, Shade's Children, Coraline and A Series of Unfortunate Events. I write science fiction because it lets me be extremely creative and because I've always liked wondering about the future. 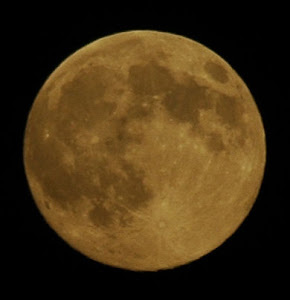 I feel like it can do anything literary fiction can do, but also do it on the Moon, which is much better. TQ: What sort of research did you do for Annex? Rich: Not a whole lot of research was required for the setting, since it's a fictional amalgamation of a couple different cities I've lived in. For the characters, details about Violet's transition came from reading people's personal stories and anecdotes on Reddit, whereas Bo's memories of Niger were basically my own. I did have to get my dad to check my Hausa spelling. 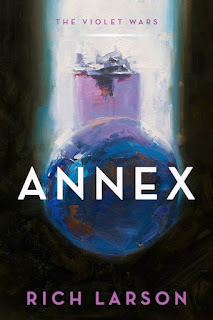 TQ: Please tell us about the cover for Annex. Rich: Gregory Manchess did the cover, and it looks good as hell. The texture really pops in real life. TQ: In Annex who was the easiest character to write and why? The hardest and why? Rich: I'd say Bo was easiest, because his motivation is very simple: he wants to rescue his sister. Hardest was Violet, and I already know there are some things I'll do better in the next book. TQ: Does Annex touch on any social issues? Rich: Annex touches on issues that to me are personal -- outsiderhood, family, loneliness -- but might bleed into the social as well. TQ: Which question about Annex do you wish someone would ask? Ask it and answer it! Rich: I wish someone would ask me to autograph it. I will. I'll totally autograph it. TQ: Give us one or two of your favorite non-spoilery quotes from Annex. "If you were adrift in the ocean with no home to return to, and you found the only island in that ocean that you could make into a home, what would you do?" her not-mom asked, voice grating. "If there were animals on the island, simple apes with simple tools, what would you do? Would you keep sailing and sailing until you were dead?" Violet paused. Thought about it. "No," she said. "But when an ape bashed my head in with a rock, I'd know I had it coming." 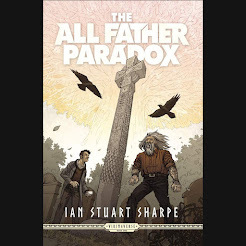 Rich: I'm supposed to turn in the sequel to Annex this October -- it's going very slowly and painfully right now -- and at the end of October my debut short story collection Tomorrow Factory will be coming out from Talos Press. Before then, in terms of short stories, I'll have a near-future tragedy in Analog and a West African military cyberpunk type story in Tor.com. Rich: Thanks for having me! If anyone is interested in finding free stories / supporting my work, drop by patreon.com/richlarson. In Rich Larson’s astonishing debut Annex, two young kids are the only ones who can fight off the alien invasion. When the aliens invade, all seems lost. The world as they know it is destroyed. Their friends are kidnapped. Their families are changed. But with no adults left to run things, young trans-girl Violet and her new friend Bo realize that they are free to do whatever they want to to do and be whoever they want to be. This thrilling debut by one of the most acclaimed short form writers in science fiction tells the story of two young outsiders who must find a way to fight back against the aliens who have taken over their city. Rich Larson was born in Galmi, Niger, has studied in Rhode Island and worked in the south of Spain, and now lives in Ottawa, Canada. Since he began writing in 2011, he’s sold over a hundred stories, the majority of them speculative fiction published in magazines like Asimov’s, Analog, Clarkesworld, F&SF, Lightspeed, and Tor.com. His work appears in numerous Year’s Best anthologies and has been translated into Chinese, Vietnamese, Polish, French and Italian. Annex, his debut novel and first book of The Violet Wars trilogy, comes out in July 2018 from Orbit Books. Tomorrow Factory, his debut collection, follows in October 2018 from Talos Press. Besides writing, he enjoys travelling, learning languages, playing soccer, watching basketball, shooting pool, and dancing salsa and kizomba. Twenty-three stories from one of speculative fiction’s up-and-coming stars, Pushcart and Journey Prize-nominated author Rich Larson. Welcome to the Tomorrow Factory. On your left, post-human hedonists on a distant space station bring diseases back in fashion, two scavengers find a super-powered parasite under the waves of Sunk Seattle, and a terminally-ill chemist orchestrates an asteroid prison break. On your right, an alien optometrist spins illusions for irradiated survivors of the apocalypse, a high-tech grifter meets his match in near-future Thailand, and two teens use a blackmarket personality mod to get into the year’s wickedest, wildest party. 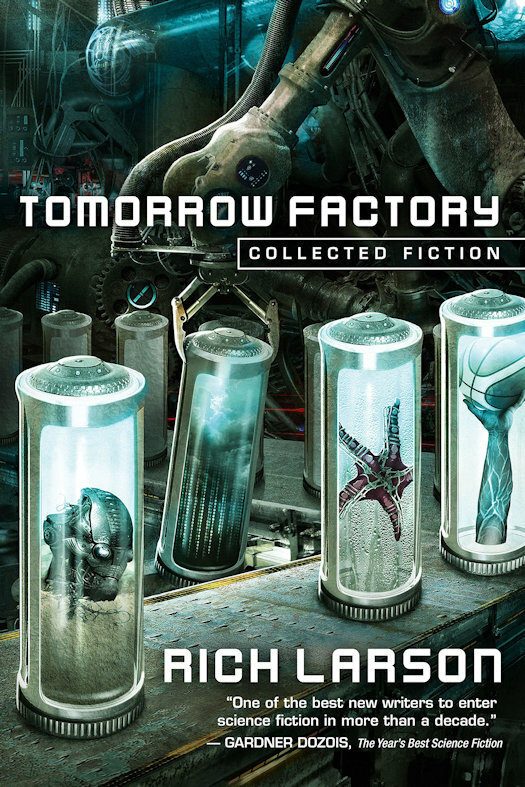 This collection of published and original fiction by award-winning writer Rich Larson will bring you from a Bujumbura cyberpunk junkyard to the icy depths of Europa, from the slick streets of future-noir Chicago to a tropical island of sapient robots. You'll explore a mysterious ghost ship in deep space, meet an android learning to dream, and fend off predatory alien fungi on a combat mission gone wrong. 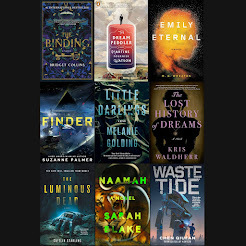 Twenty-three futures, ranging from grimy cyberpunk to far-flung space opera, are waiting to blow you away. So step inside the Tomorrow Factory, and mind your head. Thanks for sharing the great review. I love those covers.